I spend so much of my life these days away from home and writing about what to do in the different destinations I visit and for that, I am grateful—it’s such an exciting season of my life, one I know will slow down a bit once we start growing our family so I try to really appreciate and soak in this jet-set period while it lasts! But even with a perpetual state of wanderlust and physically being gone so much, Vancouver is one place I’m always happy to come home to and that still enthrals me to this day, even having lived here all my life! I may be biased, but I really do think that other than its exorbitant house prices, it’s the one city in the world that truly has everything you could ever want right at its doorstep: a buzzing metropolitan area with some of the best dining (and undoubtedly some of the best sushi) in the world, beaches bordering its downtown core, the False Creek side (where I am) and even all through the North Shore, centuries-old rainforests to get lost in and mountains to adventure on (where I grew up, in Lynn Valley!) 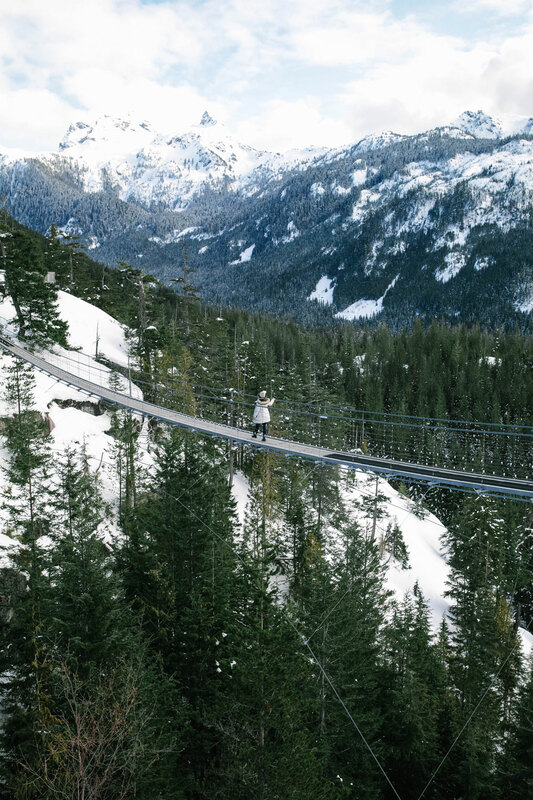 whether that’s snowboarding, mountain biking or hiking…the list goes on and on. 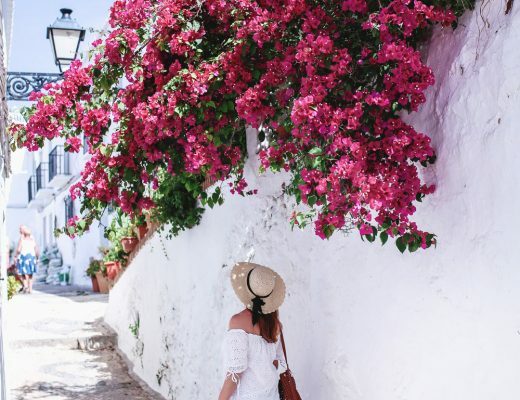 It’s the perfect nature-lover’s city, and it’s also safe, easy to get around and if it wasn’t already obvious from that exhaustive list of its natural wonders, unbelievably beautiful. The other thing I love about living here is that the day trip options are endless. 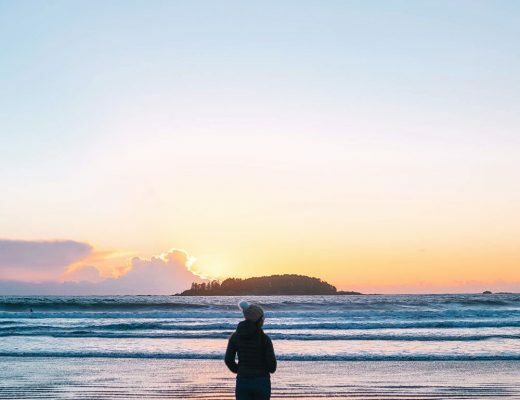 Whether I’m off to our second home on the Sunshine Coast, my old uni town of Victoria or historic Fort Langley, there’s so much to see all around us. 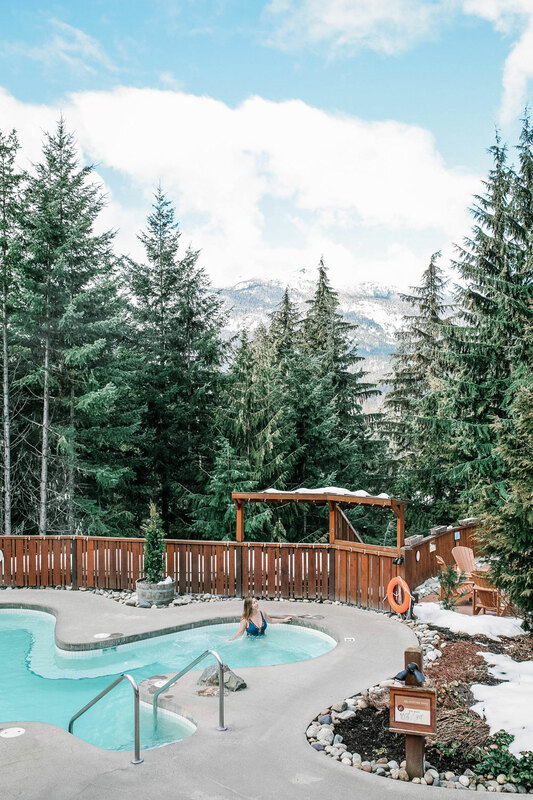 But of course, one of our most famous local getaways and one that’s really special to me is Whistler, with Squamish en route that is an absolute dream as well. 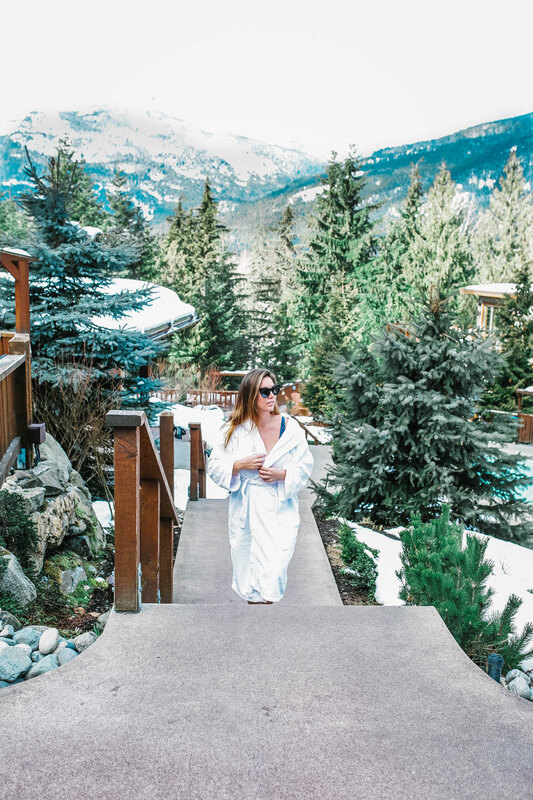 One absolute must (including visiting all of Whistler and Squamish as well, of course—you can see my Whistler stay at the Fairmont here if you’re looking for ideas about where to stay and my whole Whis category right over here for more things to do in the city!) 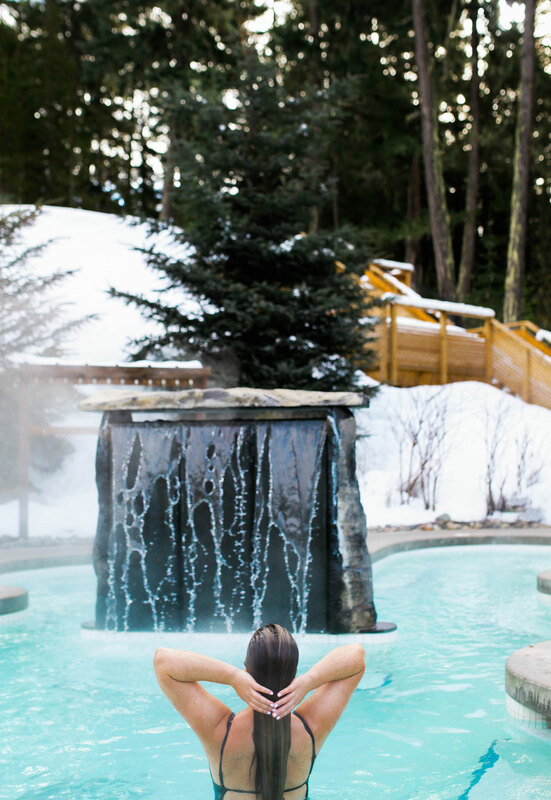 is to visit Scandinave Spa. 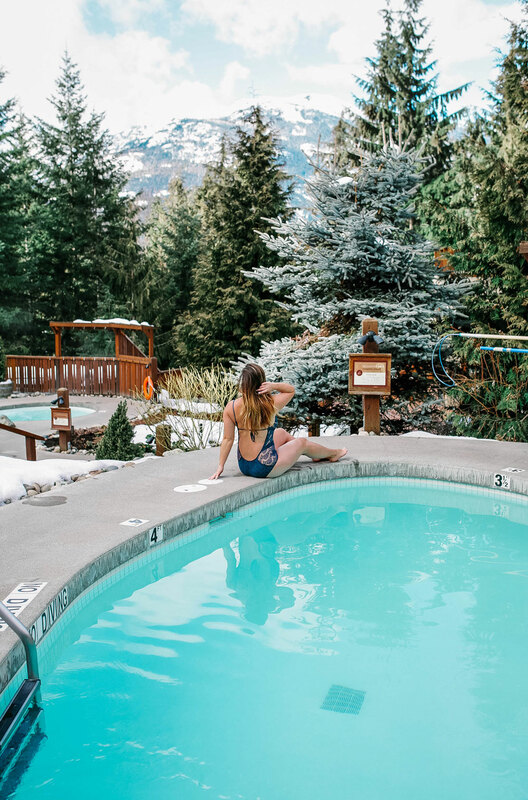 It’s a $70 rate to visit the baths which might seem steep, but consider the fact that you can spend hours and hours here (not to mention all the amazing benefits you get from the hydrotherapy!). It’s honestly the best money spent, I leave feeling like I’m two inches taller somehow each time and as someone who really carries stress in my back and shoulders, it honestly works wonders for melting it all away. 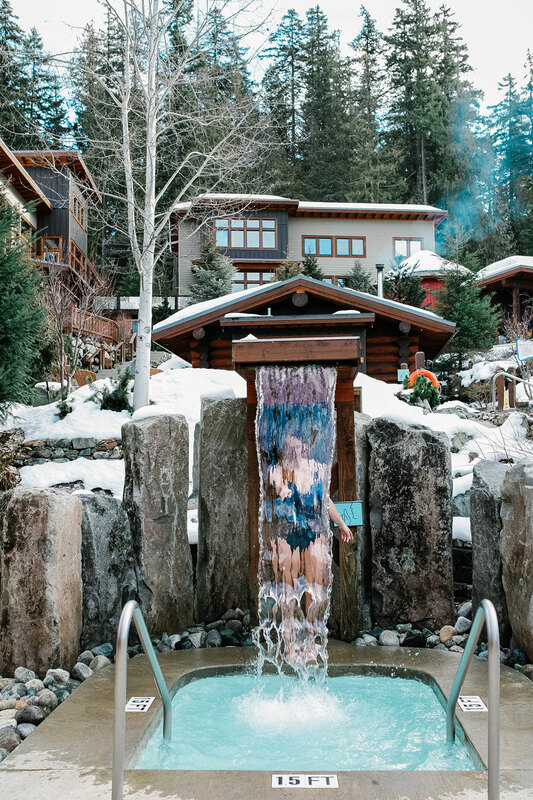 If you haven’t heard of Scandinave before or are curious as to how hydrotherapy works, you basically use the power of water, heat and cold to heal your body, flush out toxins and loosen any stress in your body. The system is typically 10-15 minutes in heat (hot baths, sauna, steam room), 10-15 seconds in cold water (Nordic showers, cold baths, etc) and then around 15 minutes of rest. 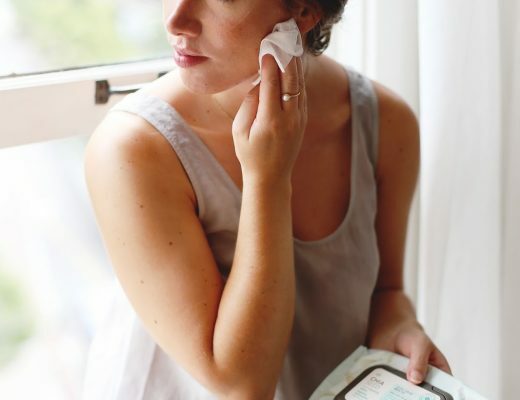 It’s rooted in centuries-old Scandinavian traditions and for me, it is honestly magic. The trick is to do it around 4 times and then you really feel its effects by the time you leave! 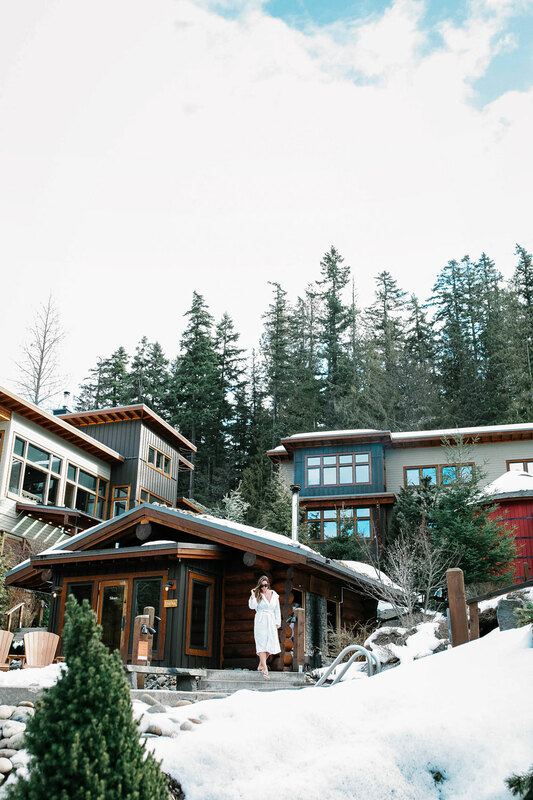 I’m obsessed with Scandinave too because it really lets you experience another layer of Whistler. 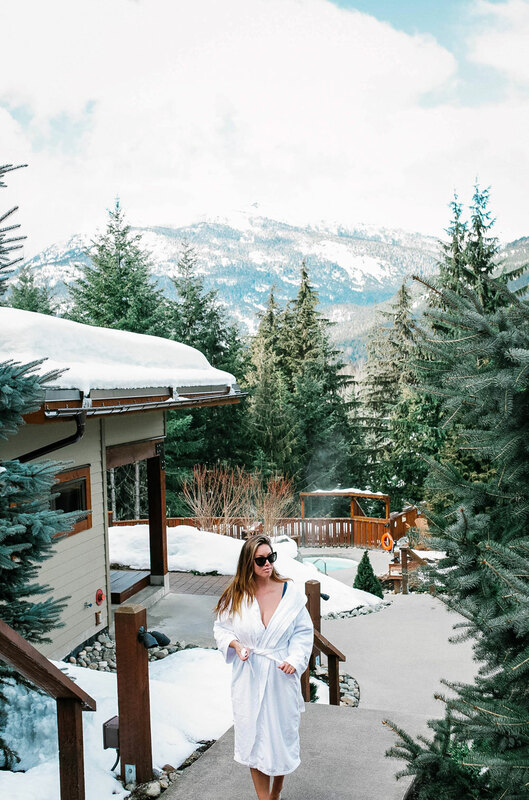 Its rustic-luxe baths are sprawled over a beautiful outlook of the mountains right at the tip of Lost Lake—with your mind clear and your body relaxed, you can take in the beauty of the outdoors all around you in the most amazing, mindful way. My trick is to just come prepared—I like to pack my own flip flops, a bottle to refill (I find I need to drink a lot of water as toxins are drawn out of my body and from the hot experiences) and if I’m not feeling too sleepy that day, a good book to read during my rest breaks (though to be totally honest, most often I just have the dreamiest naps). And if you can, book a massage! Literally one of the best massages I’ve ever had in my life. What makes Scandinave truly special though is that it’s a silent haven—as someone who is the epitome of a Chatty Cathy, most people who know me or have even interacted with me once are probably shocked that this is an appealing aspect to me. I think that whether you’re also a chatty type, someone whose mind is always running or really, just about anyone in these tech-driven times, it’s so critical to take those mental breaks and to just be still and quiet. 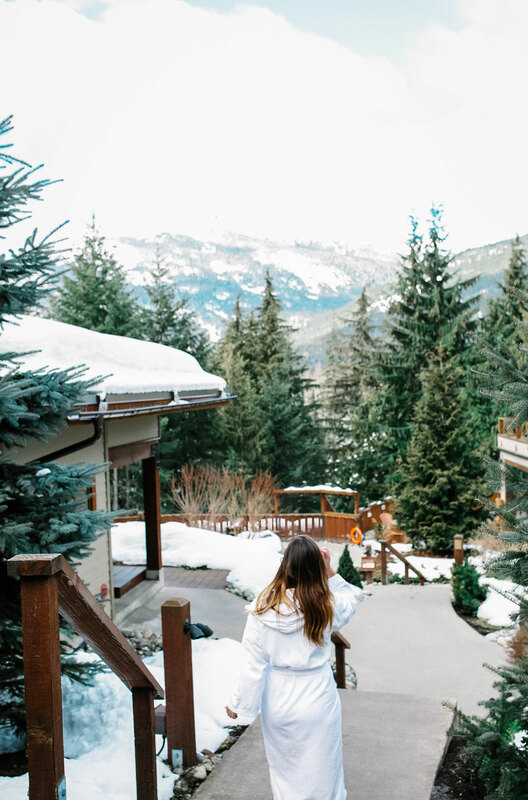 My at-home meditation practice really helps me a lot but Scandinave is like the ultimate prolonged meditation—I leave feeling so much happier and at peace every time, especially because I’m often in Whistler living it up or with friends and that little check-in with myself comes at a good time! 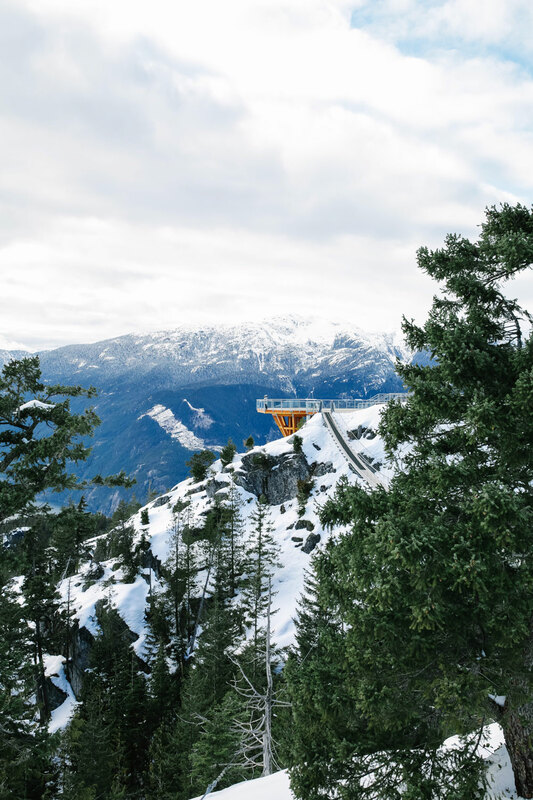 Other absolute must is Sea to Sky – I shared my first Sea to Sky Gondola experience over in this post but it really is just the most unbelievable place. There’s something really spiritual to me about being so high above in the mountains and seeing all the natural beauty all around you and realizing how small you are and just how magical Mother Nature is—I get this effect a lot after a particularly long hike (Eagle Bluffs is one viewpoint that just does it for me if you are looking for a Vancouver hike, it’s just out of Cypress Mountain so really easy to get to!) so it’s amazing that at the gondola, you can zip right up to the top in literally 10 minutes. And the gondola ride itself is so amazing! 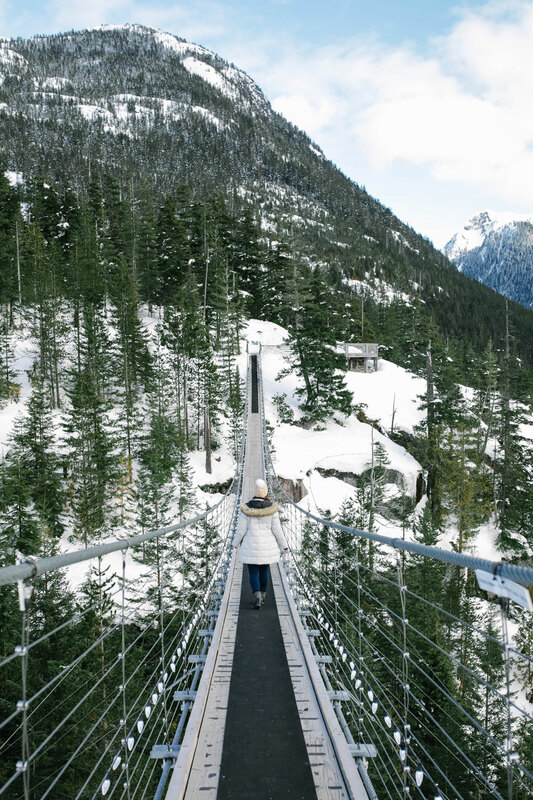 The suspension bridge is beyond beautiful and gives you the most amazing view as you cross it of all the mountains surrounding you. You can either go for a hike and check out all the amazing viewpoints that are at the top, or even just take it easy and have a drink or snack at the cafe while taking in the view all around. 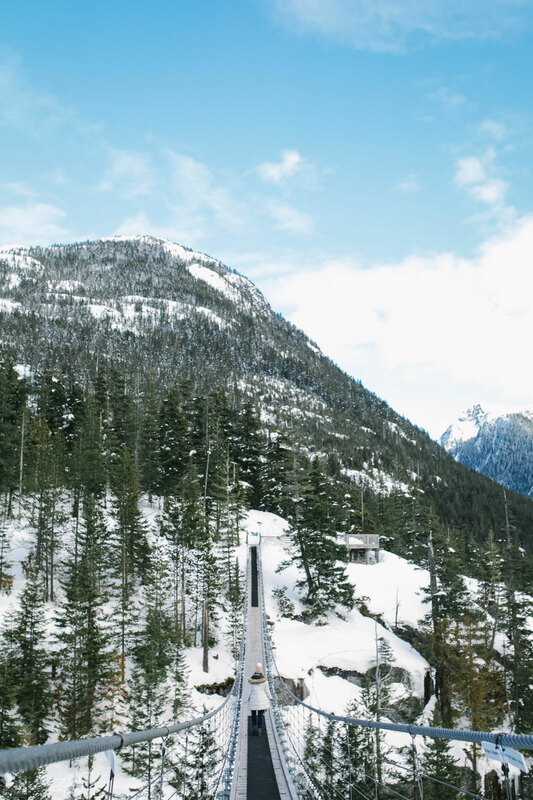 If you’re visiting or are a local, make the quick trip out to Squamish (usually around a 1 hour drive from city centre) to take in this magical experience! 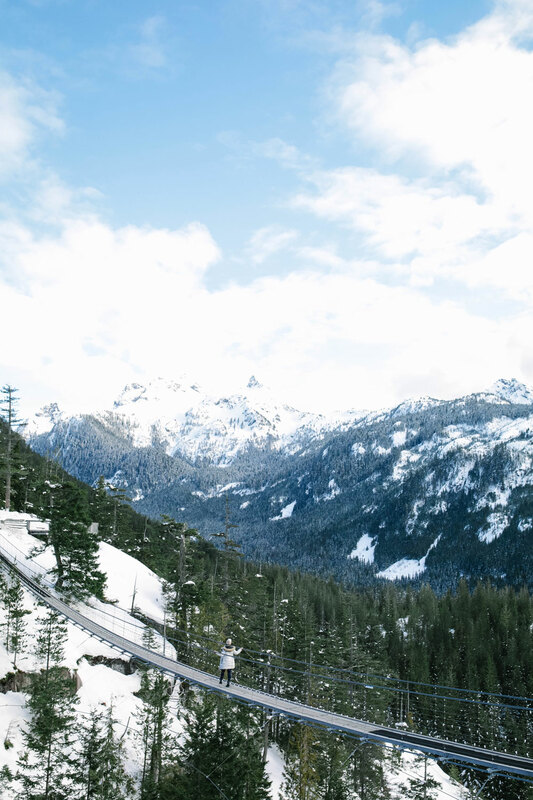 Matt and I are just doing the live-in, common-law thing for life but if we did get married, I’d push hard for this place—any wedding I’ve ever seen captured up there looks like such a dream. Do you guys have any other requests for Vancouver or the Greater Vancouver Area guides? I’m super excited to have a few more posts coming your way this month before I take off to Thailand (yeeeee, never been before!) but am always eager to hear what you guys are craving so feel free to drop me a line! Happy Monday everyone, hope your week’s off to a great start!